EQT Corporation is planning to build the Mountain Valley Pipeline (MVP), in a first-time joint venture with four other gas companies, which will cut through the Blue Ridge Mountains in West Virginia and Virginia. [i] This 42-inch high-pressure pipeline has been proposed in order to carry natural gas 303 miles from shale fields in West Virginia to markets on the East Coast, imposing itself on private lands along the way. [ii] The controversy surrounding the project, slated to break ground in February 2018, is in full swing. [iii] Those against the project claim that construction of the MVP will result in lost property values, lost tourist revenues, and lost peace of mind. [iv] On the other side, a pipeline spokeswoman champions the MVP as an innovative and necessary tool to bring “energy to homes and businesses at reduced rates,” which, in effect, will attract manufacturing facilities and jobs to economically depressed areas of Virginia and West Virginia. [v] At the heart of the controversy, however, is a private company using the federal power of eminent domain to take away private landowners’ property for a pipeline that many argue is not even needed. MVP has “filed eminent domain claims against more than 100 property owners in West Virginia,” and it is attempting to obtain immediate possession to acquired land—possession before just compensation is determined and paid in a condemnation action. [vi] Landowners within the pipeline’s route are fighting against immediate possession, disputing the quick-take power of MVP. They contend that the conditions ordered by the Federal Energy Regulatory Commission’s Certificate of Public Convenience and Necessity granted to MVP have not yet been met, thus invalidating the Certificate and postponing the project. [vii] Landowners further argue that, “by extension, MVP is also unable to show that the property interests it seeks to condemn are necessary,” because, without a valid certificate, the pipeline cannot be built. [viii] MVP relies on a 2004 conditional certificate case in which the court granted a Tennessee natural gas company immediate possession. [ix] However, the conditions required under Sage were to be met during construction, as opposed to MVP’s conditions, which must be met prior to construction. [x] It is my position that MVP should be required to meet each condition set forth by the FERC’s Certificate before condemnation proceedings begin, with construction of the pipeline to follow thereafter. 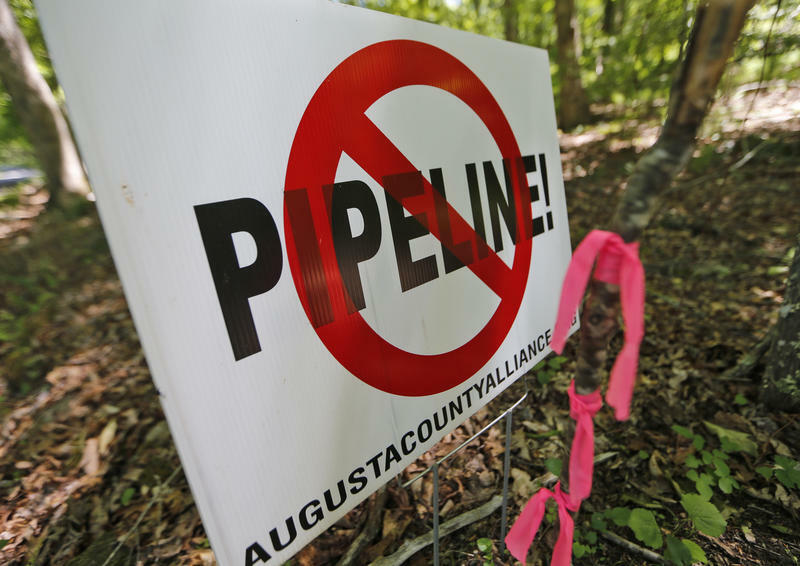 To accommodate the visual and environmental damage potentially caused by the pipeline, MVP should at least follow the FERC’s conditional Certificate orders. [i] Overview, Mountain Valley Pipeline, https://www.mountainvalleypipeline.info (last visited Jan. 31, 2018). [iv] Mountain Valley Pipeline, Appalachian Trail Conservancy, http://appalachiantrail.org/home/conservation/advocacy/mountain-valley-pipeline (last visited Jan. 31, 2018). [v] Evan Halper, A Pipeline Cutting Through the Iconic Appalachian Trail Sparks a Fight Over Natural Gas Expansion, L.A. Times (July 14, 2017, 3:00 AM), http://www.latimes.com/politics/la-na-pol-pipeline-appalachian-trail-201707-htmlstory.html. [vi] Brad McElhinny, Landowners Say Mountain Valley Pipeline Shouldn’t Gain Immediate Access, W. Va. MetroNews (Jan. 3, 2018, 9:45 AM), http://wvmetronews.com/2018/01/03/landowners-say-mountain-valley-pipeline-shouldnt-gain-immediate-access/. [ix] East Tenn. Nat. Gas Co. v. Sage, 361 F.3d 808 (4th Cir. 2004). Newer PostA Monumental Mess: Can President Trump’s Administration Find Legal Ground to Support Its Decision to Modify National Monuments?